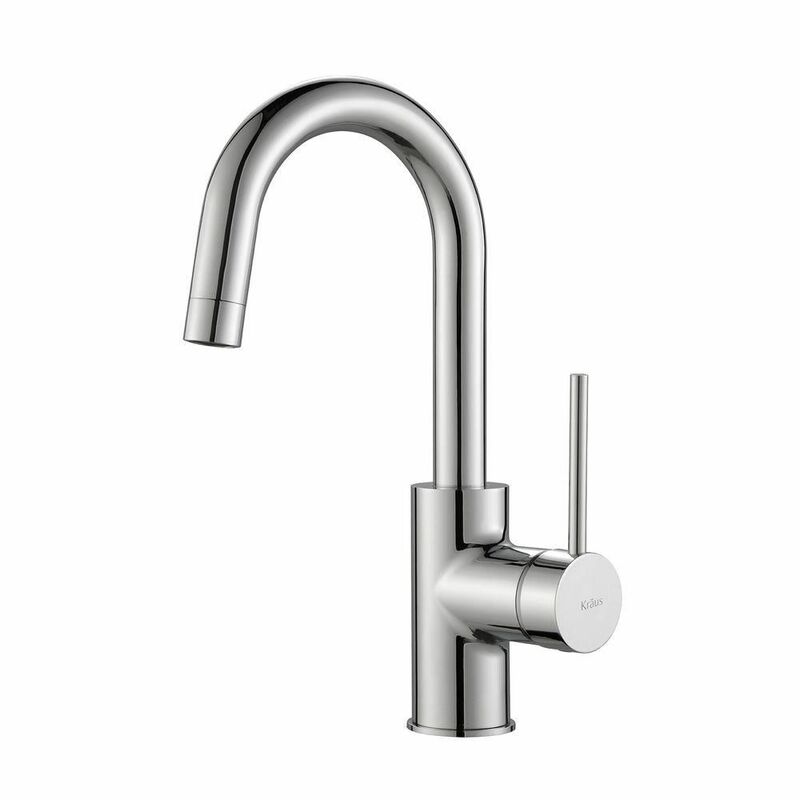 Mateo Single Lever Kitchen Bar Faucet Chrome The Mateo Single Lever Bar Faucet has a streamlined silhouette that coordinates with any bar or prep sink, with a spout that swivels 360 for added flexibility. This faucet is made with top-quality components in order to ensure superior performance and durability. A QuickDock mounting assembly eliminates the need to secure the faucet underneath the sink, making top mount installation exceptionally easy. Mateo Single Lever Kitchen Bar Faucet Chrome is rated 4.3 out of 5 by 36. Rated 4 out of 5 by Ursula from Exactly what we were hoping for.... Exactly what we were hoping for. Rated 5 out of 5 by anderb10 from Excellent value for cost I needed a small faucet for a small prep sink that's almost the size of a bar sink. I wanted a single hole in my granite counter tops, but sink from the builder was a center set 2 hole. If I supplied single hole faucet they'd install it. Went quickly hunting for a faucet to get me by for not much $. Great faucet for under $90 when I bought it. Ordered 2 different faucets this and another larger with pull down sprayer that also cost 1/3 more. Chose this over the other. Also needed to be pretty small to fit under cabinets and fit a small 14 x 15" sink. We've been in the house 3 weeks now and it's worked great. I wish we had a pull down sprayer, but this was the best faucet for this price point. Sprayers were more. In the end it's been really great. The desire for a sprayer hasn't been strong enough yet (since sink is so small) to start looking for another faucet yet. It also looks sharp. Looks very nice and fit under our under cab lighting valance no problem. I would buy again if my circumstances were the same. Rated 5 out of 5 by Joanie16 from Beautiful Faucet It is so modern and sleek. I love the way it looks with my new kitchen! Rated 3 out of 5 by Peter from easy to install. good quality. short spout reach. not good for double bowls. have to exchange one... easy to install. good quality. short spout reach. not good for double bowls. have to exchange one with long reach distance. Rated 5 out of 5 by JFMZ from Great look, easy install. Purchased this online. Quick delivery, easy installation and looks and works great. Is the aerator removable, and what size is the threading? I'm looking to adapt it to m22 for a standard portable dishwasher fitting.